Will Tweeter help your social score ? This is a question which has been asked by many social Media enthusiast and newbies. In this blog post I am going to explain just specifically about Twitter. Twitter is a very powerful tool that you can use to cause social influence, more influence than Facebook in my opinion. Reason behind it is that if you closely observe you will find all big leaders, stars and superstar celebrities are on Twitter, their numbers are much more higher in Twitter compared to any other social networks. Do you know why they are on Twitter and not any other networks ? Answer is very simple that it is very easy to comment and you can just put your words directly on others page, influence them, debate & engage them with you. Now let's discuss what's in it for you! Plan your interest, think what you want to tweet, select proper image for profile and ensure it should be eye catching. Reason for right image is very important, if you observe the number of tweets pop ups in Tweeter is very high and if person is going to scroll he should find some thing of his interest, so the image is a visual which catches eye better then text. Another good thing you can do is, you should use good image for your tweet as well. And tag people and followers in the image who have similar interests and great influence. Use links to make your view refer to more detailed contents of your tweet and ignite their interest to check full details of your tweet. Always put your efforts to gain follower, it will definitely reflect your power of social influence and will provide you large number of viwership, follow more and more people, send them personalized message and encourage them to follow you. OK, now you know how you are going to gain follower, So it is time for making good relationship, try finding followers in your list who have similar interests in regrds with your contents, communicate with them, retweet their tweet and like their tweets, and they will return you the favor, or simply ask them. Just do not do this with any follower, before it study your followers sharing habits and then approaching forward would help. Use HASH TAG # in your tweets, they are going to help you tag your tweets to search contains similar words in their by readers, for example #Android will tag your contents to Androi, ReAndroid, Androidnews Androidhelp and more similar to it. 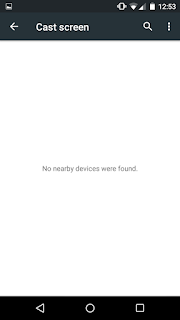 Doing this will make your content more easily searchable, now whoever will search for #Android they will be able to see you tweets. Using this trick you will be open to more people and will definitely grow your audience. Tweet decent and don't spam, that means your viewers knows your interest, they may or may not have similar interests, but they still like to learn and gain knowledge from you but there would be some saturation time when they will say enough for your monotonous style and retweets, so to avoid this just avoid doing lots of tweet and do it decent between 5 to 8 tweets per day and that's too between decent interval. Recent surveys shows that: 7AM Eastern Standard Time USA is best time to tweet, weekend are best for maximum views, and my fellow blogger friend told me that she experienced maximum page views on Wednesday morning, so work smart and find which time is best for you. 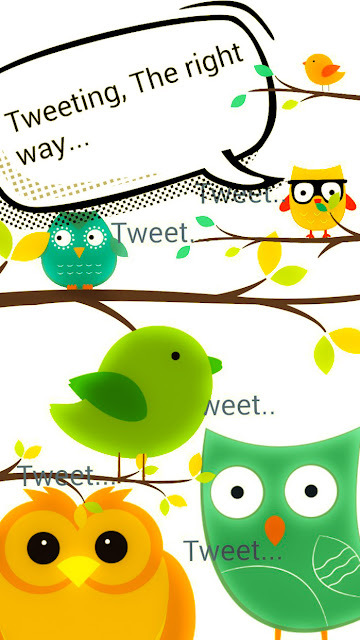 Keep tweeter application ready on your devices and be ready, alert and responsive to always show your social presence. Last but not the least, use you 140 words wisely and try eye catchy phrase which should attract more people, remember this 140 letters includes link, hash tag and good attractive description. This is the best I know about using tweeter, if you know any thing better then this I will appreciate your contribution to it and lots of our viewers would be grateful to you. Kindly provide your add-on and comments. Cast Screen through Android devices. Wireless Display. Your answer is that you can cast your mobile display on your television or monitor which support HDMI. EzCast OTA HDMI 1080P TV Stick, Miracast DLNA WiFi Display Receiver Dongle for iOS, Android, Windows Phones & Mac tablets. 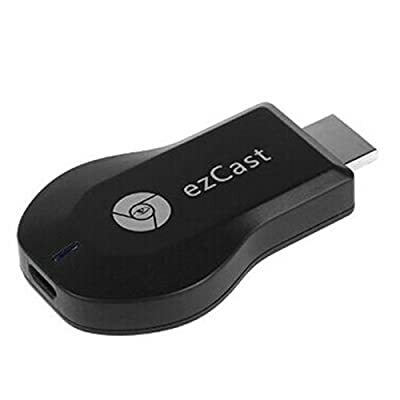 If you want to watch and listen videos, music, presentation and more on wider screen than your smartphone, EzCast HDMI dongles or you can also call it EasyCast HDMI stick are the latest and easiest ever way of connecting your output device (That includes TVs, monitors or projectors that has HD ready/HDMI) to your smartphones. Earlier this technology was complicated and expensive, because earlier you had to have push2tv router plugged into your output devices(TV/monitor) through a HDMI cable and to do that the router was needed to get paired to your smartphones or otherwise you had to have a expensive SMART TV. But now with EzCast things are lot more easier, options are like never ending. EasyCast empowered with Miracast enables the H.264 codec to mirror videos in 1080p and 5.1 surround sound audio. With our research we even found that even copyright-protected materials like DVDs and music can be mirrored, because of newly added DRM layer. Setting up this device is real easy. EasyCast is little HDMI dongle/stick which you can directly connect to the supporting HDMI output device. Note: Dongle also needs power so for that you need to connect mini usb cable came along in box to dongle and then other end of cable which is normal size usb connector to the empty usb port on you TV(TV and monitors are coming with it.) or any other usb adaptor for power, just push button on it, select right HDMI input for TV, go to your smartphone, and go to its Settings > Display > Wireless display, for some devices it may say "Cast Screen" option and might vary a bit depending on your device. Turn the Wireless display feature on, and wait a moment while the device looks for your EasyCast dongle. 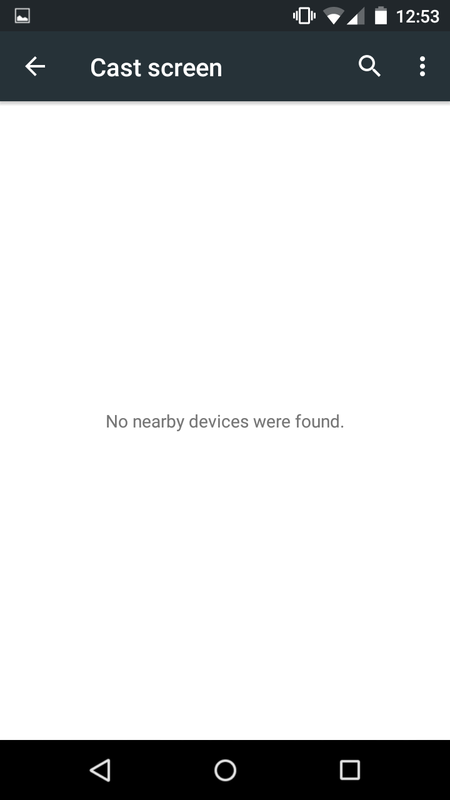 When it appears in the list, tap to connect, and a few moments later, you'll see your Android device duplicated on the big screen. For this feature your smartphone should supports wifi direct/Miracast/ezair(Airplay)/DLNA then only it will start mirroring display of mobile on TV. And do not forget to read the instructions manual along just to have more clear picture. Limitation: This device cannot switch or extend display with smartphone as smartphones needs its touch on screen input instructions so smartphone is limited to mirroring but if in case you are using laptop or any other computing device which supports widi(wireless display) then you can switch or extend display or mirror as well. 1)Your smartphone should supports Miracast, Airplay or DLNA to work with this dongle. 2) TV, Monitor or projector should support HDMI interface. 2) With laptops and PCs you can extend, switch and mirror the display. 4) Making creative notes and leaving it on TV screen for others could be easily done with this device and the best part is that you do not even need to save the note. 5) Your friends and family can connect to your TV using their own smartphones and your circle can have fun of watching movies, music, photos and lot more on HDMI TV available. Developer Options are a set of tools to be used by developers for rooting Android devices, testing/making applications and there are few options which are useful for even novice developer. 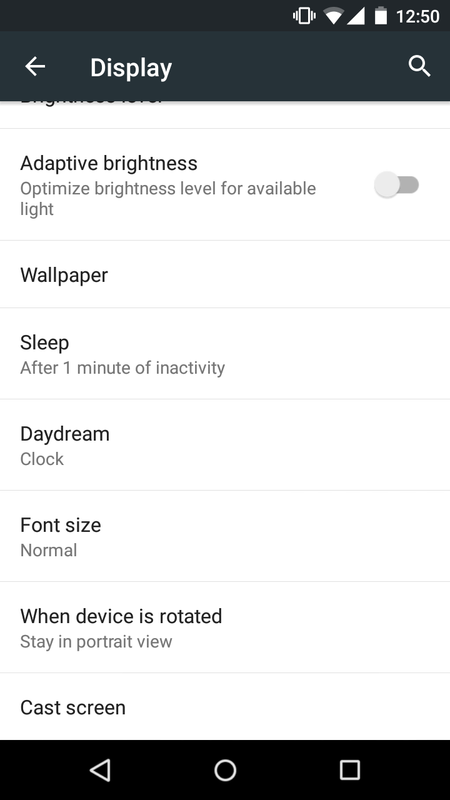 Android devices contains this developer options menu in settings menu of your phone, but in case if the option is missing that means the option is there but it is hidden, you can unhide that by going into your main system settings, then navigating to "About"> "Software Information" > "More"> "Build number". Now tap on the build number—literally, tap on it numerous times—until a small message at the bottom of the screen says that "you’re a developer". 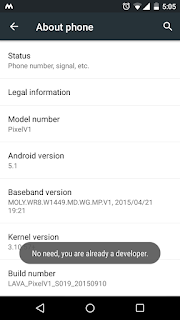 And for lollipop & marshmallow users you can go to "Settings"> "About Phone"> Here you have "Build number" just tap 4 times and you will see the message "you are 3 step away from being developer" just tap three more times and the option will be unhide. Warning: Before making any changes to developer options you are adviced to do through research otherwise it may harm your device. Read more : How to rehide developer options and more about it. In older versions of Android 2.3 and others, using custom ringtone like mp3 music of your own choice is bit tricky. However with little effort its possible. You just have to create a ringtones folder in SD memory and paste the musics there. Now go to audio profiles in settings you will find your music there. 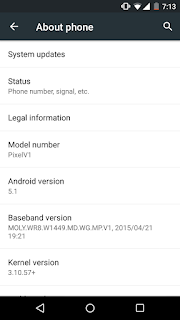 How to check for Android OS/System update. 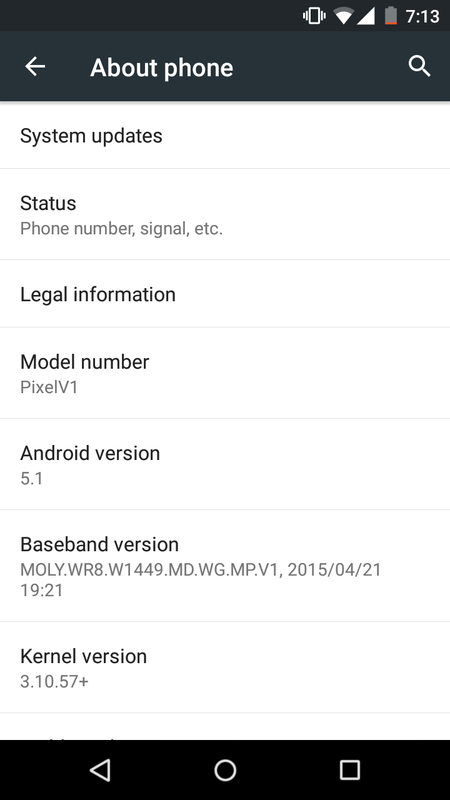 Android users who are using stock ROM, you may want to look for new updates to your system. 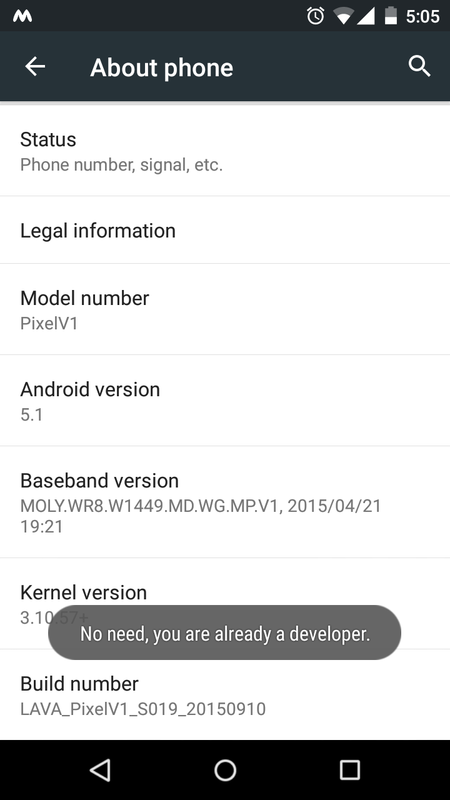 Check out the list of devices to get marshmallow updates. 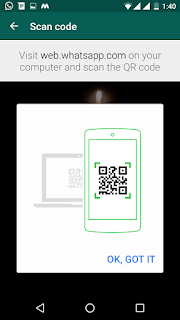 Are you thinking about capturing screenshot of Android Smartphone ? 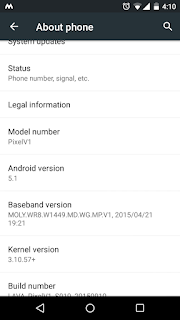 It works inbAndroid 4.0 or greater version. You can capture the screenshot by pressing 2 easy buttons that is Power button + Volume Down button of your Android smartphone. Press it at same to capture screenshots. How to fix White background of App Drawer. 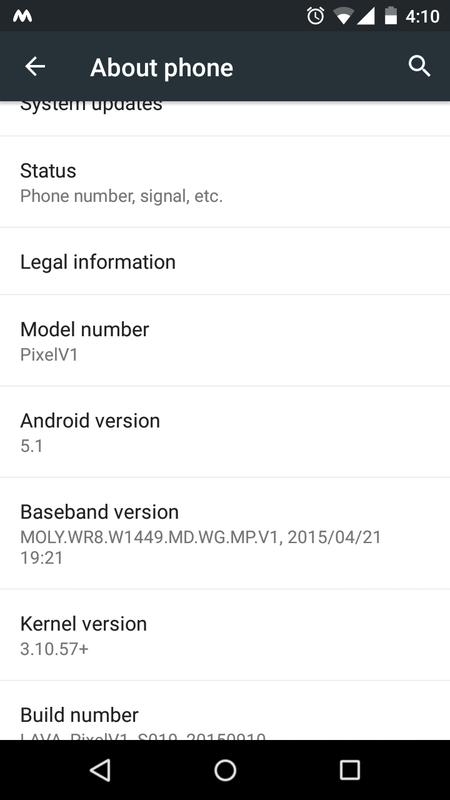 Android One issue Resolved. 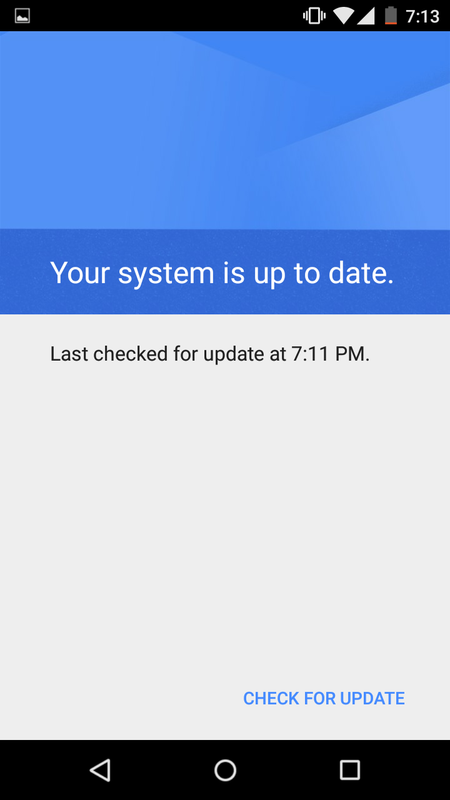 I am user of android lollipop also known as android one, while using it identified that it has a limitation of App drawer's white background, which is indeed a card background introduced by Android, but many find it irritating. Had searched for solutions, found no proper solution except installing additional launcher and just leaving Google Play Launcher. So to just get ride of that card background tried different launchers. Note: I never liked using launcher before. So this time I was searching for something good in which I can relly by adding it up with the performance. Tried : SS launcher, Nova Launcher, KK launcher and 2 3 more as suggested in different forums and blogs. And finally tried Mini launcher and it is the best. 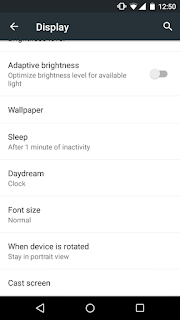 Just 2.5 MB App with extremely normal theme which will let you think that you are using the same Stock Android with the changes you wanted there and not making it superficial. It was not suggested any where in any forum, but tried as per the ratings. Give it a try to get ride of Card/White App Drawer background. Mini Launcher is an original & highly customizable Kitkat style launcher for Android. Go to Opera menu > Settings. Hacking WhatsApp in easy five step. 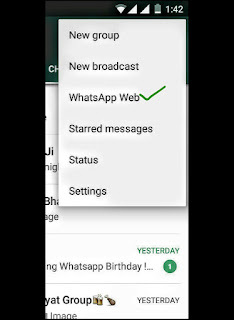 Whatsapp recently introduced its web.WhatsApp.com, If you are smartly going to think about it with Crome, Opera or Firefox browser you can hack or you can say you can run more than one whatsApp account on one mobile. 1. 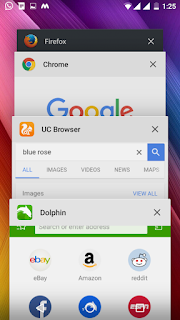 Open web.WhatsApp.com in chrome or opera or firefox browser or any other mobile browsers which supports desktop view. Opera users click here for how to open desktop view in opera browser. 2. 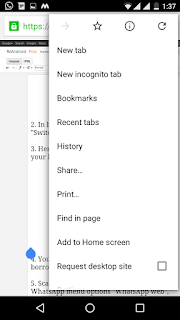 In browser menu select menu option "Switch to desktop site." 3. Here you go, you have the QR code in your hand what else you need ? 4. Your answer is a phone which you want to hacked. So borrow the phone of your friend for 30 sec. 5. 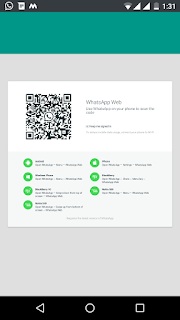 Scan the QR code you hacked it by WhatsApp menu options "WhatsApp web", it will turn on cam to scan, just Scan it. 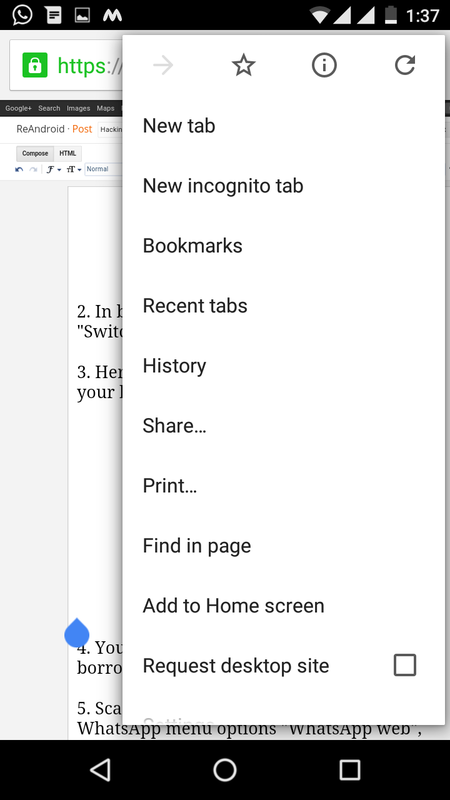 Now you will be running your friends WhatsApp in your browser, open new incognito tab run one more account. By using three different browser and their private tab like incognito in Chrome you can hack 6 WhatsApp ID in one smartphone. And one of your own total 7 WhatsApp accounts. And it's not limited to six browsers, as many different browser you will install you can double the numbers using incognito tab. 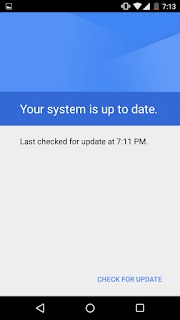 It is temporary as whenever you will close the browser or restart phone you will get disconnected and to connect again you have to repeat this steps. You don't need to lot of hectic work like copying Mac address then spoiling your phone by changing its Mac address uninstall reinstall WhatsApp Etc .. Etc.. It is just added feature by WhatsApp. Which could be misused. WhatsApp developers can consider my post as a feedback to improve upon this and could make it IP based. KODI 15 Beta - By XBMC release and how to setup Kodi LIVE TV. Kodi has been a landmark app for android to play music, pictures, games, video, IPTV/Live TV. Kodi 15 release has made it more easier and user friendly. In earlier versions of Kodi users had been facing difficulties adding the IPTV with PVR addons, now its just simple task. Kodi has been remarkable in bringing all multimedia contents together. One of my friends asked me how to setup the IPTV with Kodi, he finds it difficult. He knew I am tech-savvy so he asked me. I found that installing Kodi Live TV was real easy job. First go to Settings >> TV >> Enable >> it will ask to select the PVR select the one which says PCTV system client or PVR IPTV Simple Client. Just TAP on it it will POP up new screen where you just have to enable it. Now go to home screen. Now go to Video on home screen >> Video add-ons >> Get more... >> Select Channel for example ESPN3 and install it on the next page. I choose ESPN3 to check, and now you have option to watch it live, check upcomings, replays of 10 Days, 30 Days, 60 Days, 60-120 Days or Replay All and ofcourse live. Isn't it easy to setup Live TV, Listed channels are varied and needs different PVR, in case your channels PVR is not listed then for getting your Live channel without much effort is searching with Google, for example <name of channel>-PVR-Kodi, you will get zip file from code.google.com which will provide source settings to channel you want, you can download this zip file to your phone and then go to the page to install the PVR, and then tap on the top of PVR selection page and there you will be having more option such as install PVR from ZIP file, select option and load yours channel zip from there. Hope my post was helpful to you. Link courtesy Google Playstore, we give credit to Google for providing shared link.